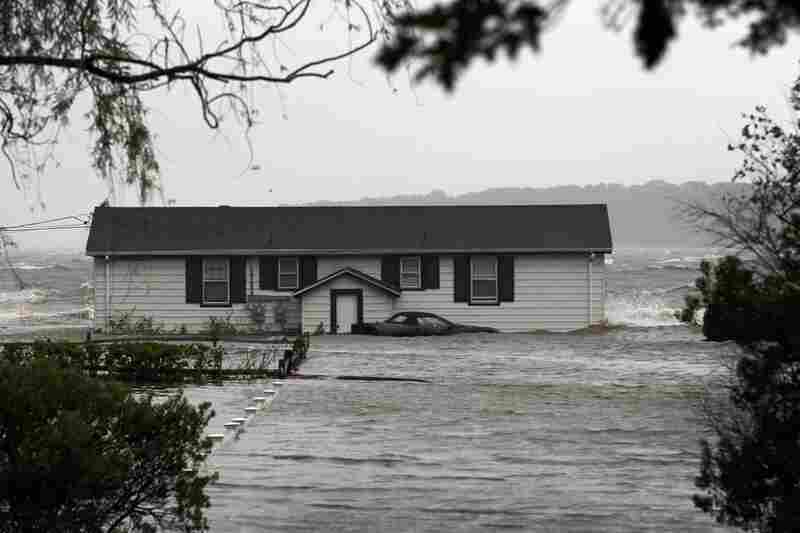 Insurers Prepare For Flood Of Claims From Irene Insurance companies are expecting to be inundated with calls from policyholders reporting damage from the hurricane. With the storm on track to hit densely populated areas where property values are high, the cost of insured losses could be in the billions. 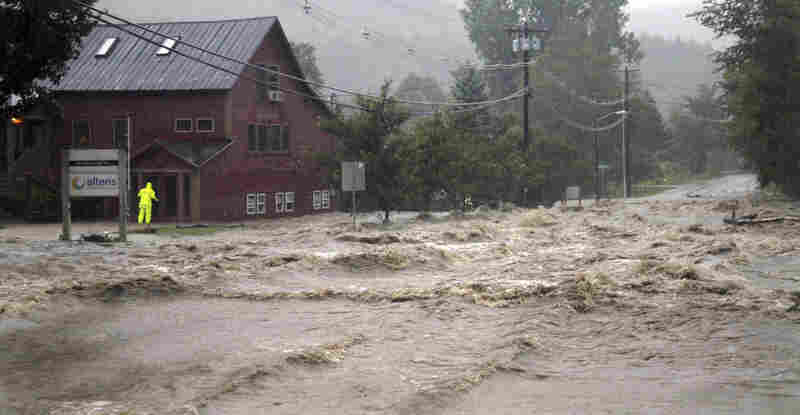 Hurricane Irene pounded coastal regions of the east coast. 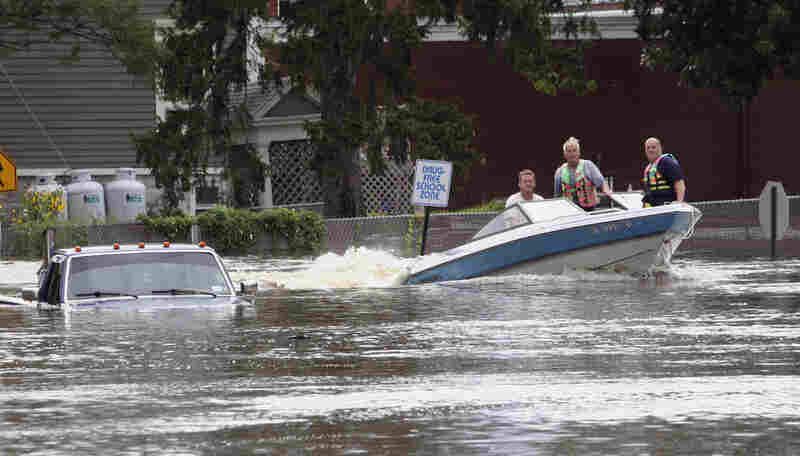 A motorboat passes a submerged pickup truck on Main Street in Washingtonville, N.Y., on Sunday following heavy rains from Tropical Storm Irene. 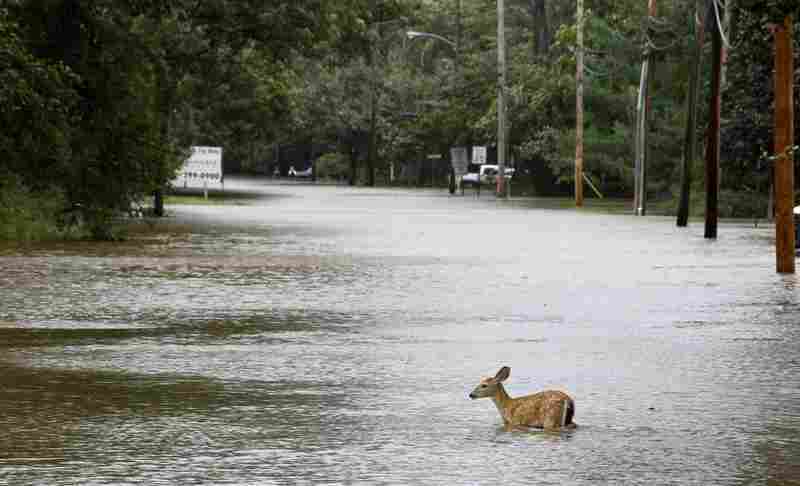 A deer wades through floodwaters in the aftermath of Hurricane Irene on Sunday in Lincoln Park, N.J. Rivers and creeks surged toward potentially record levels. 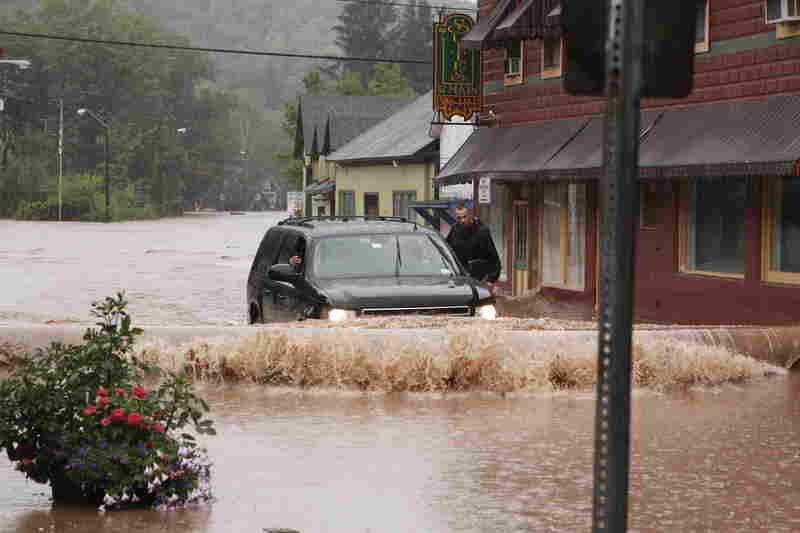 A person checks a building for occupants as raging floodwaters cross Route 100, closing the main road in Waitsfield, Vt., on Sunday. A security guard hangs on the door of Gov. Andrew Cuomo's SUV in the middle of a flooded street Sunday in Margaretville, N.Y.
Darrell Tarte surveys damage from a tree at a home hit by the hurricane on Sunday in Port Republic, Md. 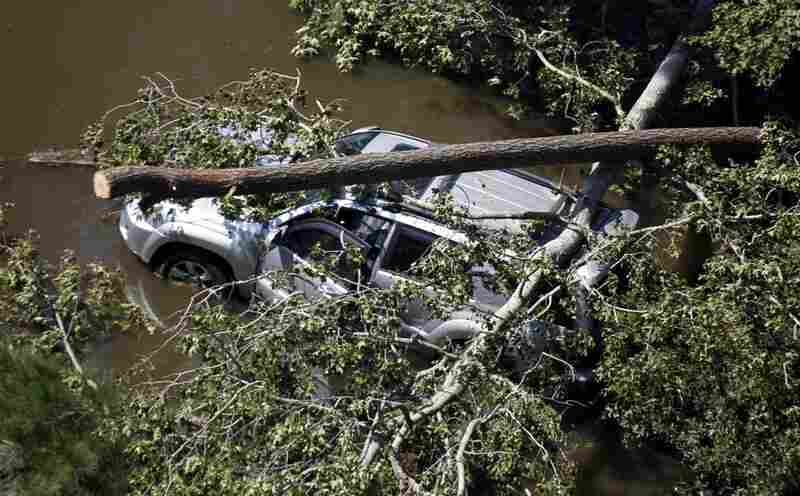 A vehicle is covered by trees on a flooded roadway in Southern Shores, N.C., on Sunday after the hurricane swept through the area. Waves crash along a seawall as the tropical storm, downgraded from a hurricane, slammed into Fairhaven, Mass., on Sunday. 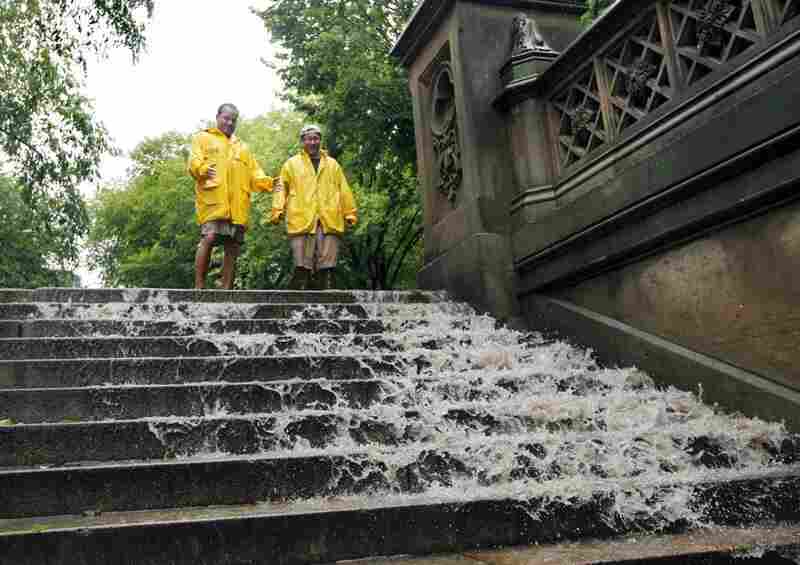 Jimmy Kaplow (left) and David Korostoff watch as water in New York City's Central Park flows down the steps as the tropical storm passes through the city on Sunday. 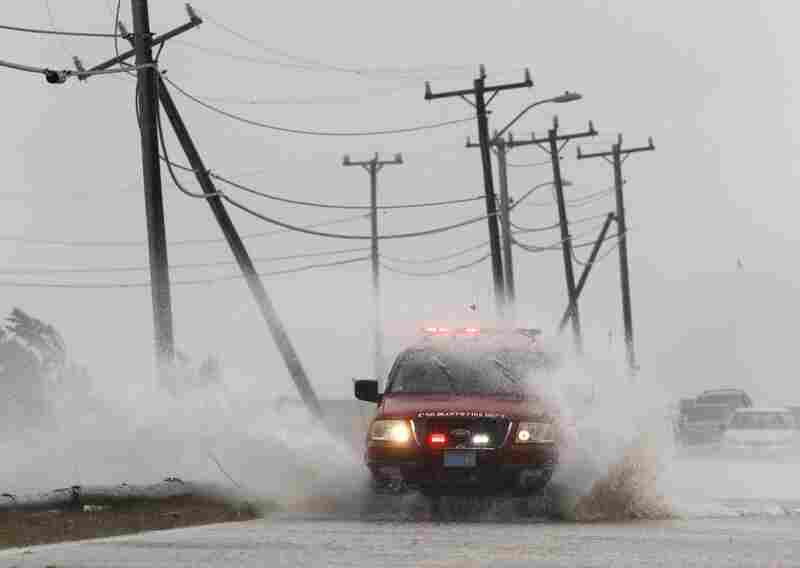 An Oak Bluffs, Mass., fire department vehicle drives through strong winds and ocean spray from the tropical storm while driving along a costal road in Edgartown on Martha's Vineyard on Sunday. 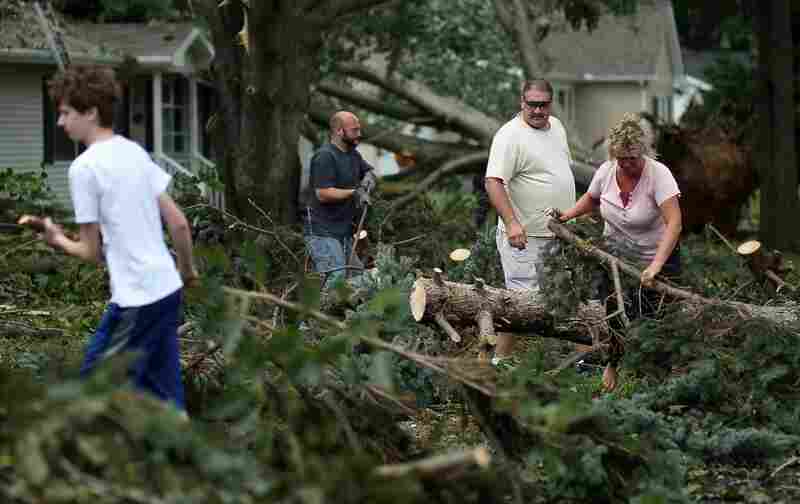 Residents clear debris from downed trees after a tornado spawned by Hurricane Irene touched down, on Sunday in Lewes, Del. 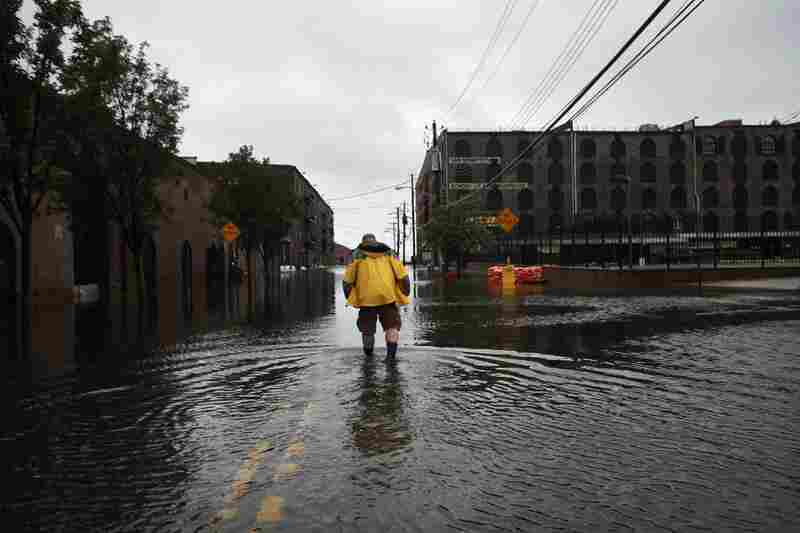 Water sits on the streets of Brooklyn's Red Hook neighborhood on Sunday. Denise Robinson and Rich Brown clear out belongings from Robinson's storm-damaged beach home in the Sandbridge area of Virginia Beach, Va.
People form a bucket brigade to bail water out of a flooded Chelsea apartment in New York on Sunday. 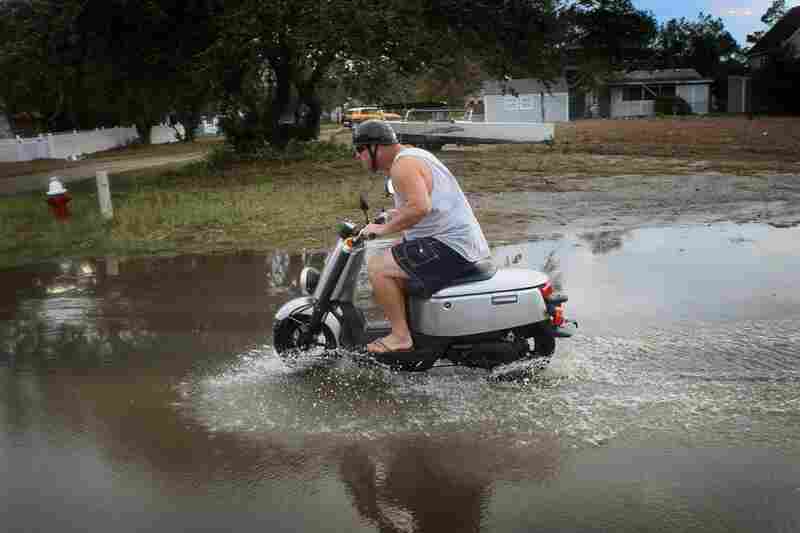 Some flooding is no match for a scooter ride in Kill Devil Hills, N.C., on Sunday. 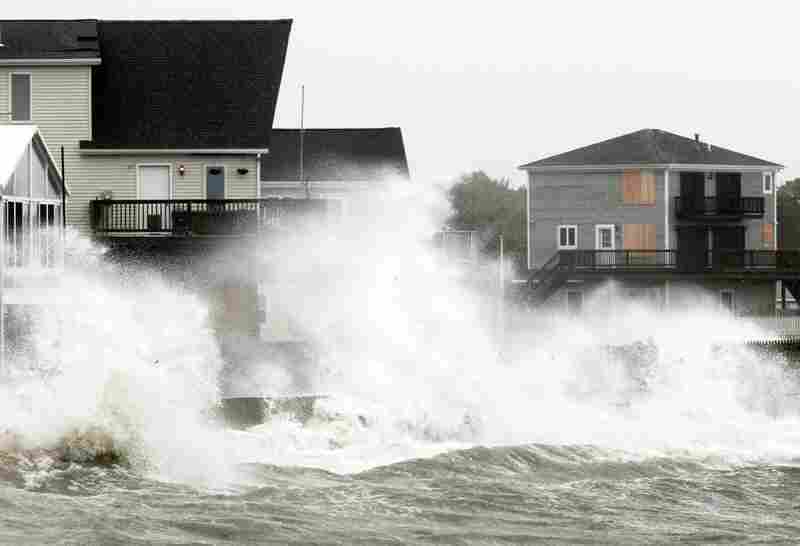 Waves crash around a home Sunday morning in Southampton, N.Y.
Lower Manhattan sits amid dark clouds as Irene bears down on New York early Sunday, bringing winds and rapidly rising seawater that threatened parts of the city. 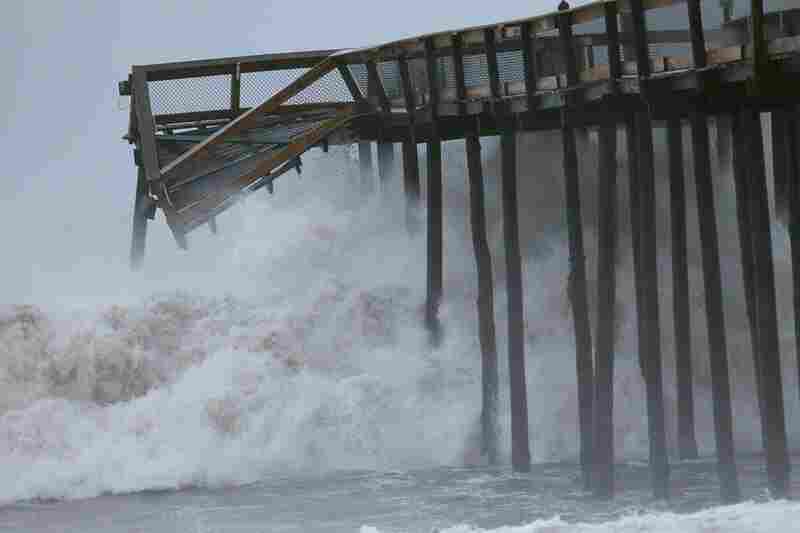 Large waves pound a pier Sunday morning in Ocean City, Md. 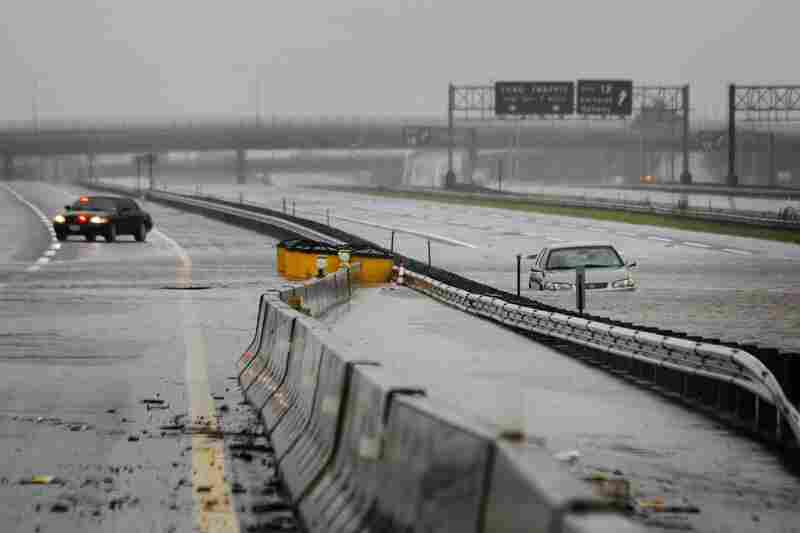 An abandoned car sits half-submerged in floodwaters on a southbound lane of the New Jersey Turnpike near exit 12 in Carteret, N.J.
A downed tree blocks a section of the Benjamin Franklin Parkway leading to City Hall in Philadelphia. 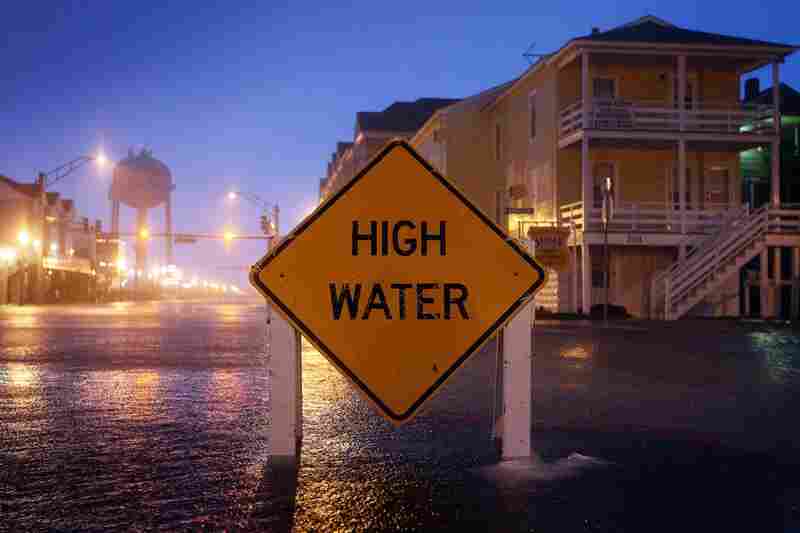 A sign stays just above the water in Ocean City, Md., on Saturday. 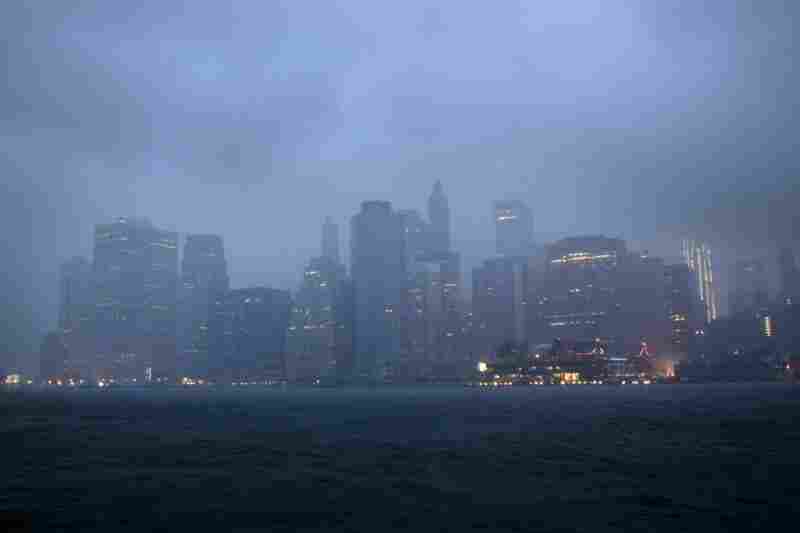 As Hurricane Irene makes its way north, insurance companies are scrambling to get claims adjusters and other personnel in place up and down the East Coast and into New England. 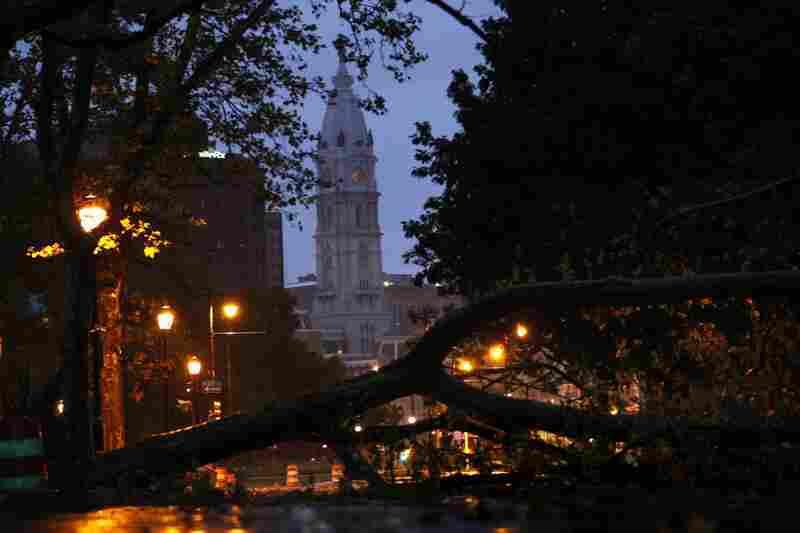 Companies will be assessing the damage once Irene is through battering the northeastern states. If the hurricane hits as wide an area as is predicted, insured losses could be in the billions of dollars. 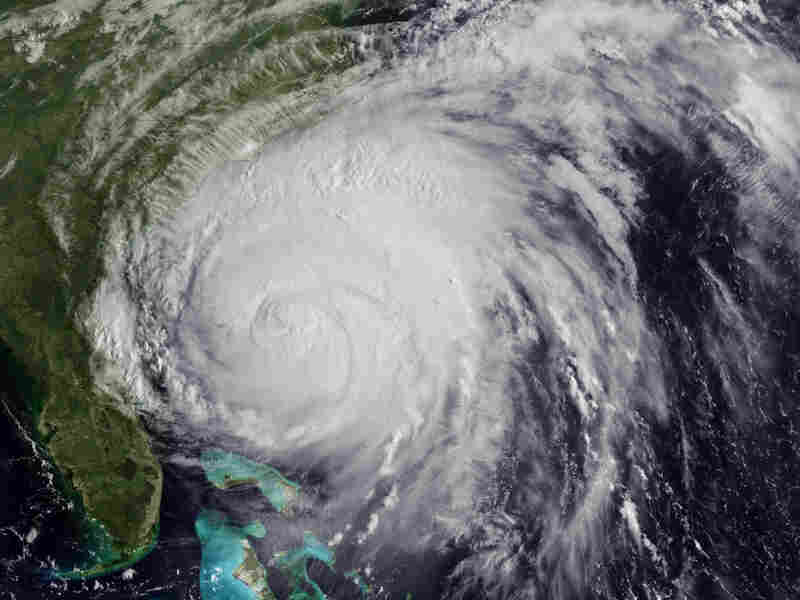 This NOAA satellite image shows Hurricane Irene as it approached the East Coast on Friday. On the boardwalk of Ocean City, Md., Tony Russo Jr. is boarding up the windows of his family's restaurant, Tony's Pizza. "Been working 24 hours," he says. "Got 75 sheets of plywood, 10 different properties, all boarded up. Done." Insurers like to see policyholders doing whatever they can to minimize property damage from hurricanes. In the case of Irene, there will undoubtedly be a lot. "We're looking at a multibillion-dollar event; that's almost certain," says Bob Hartwig, president of the Insurance Information Institute, a trade association. "We're not looking at a hurricane that is as strong as a Katrina or a Hurricane Ike," he says, "but we are looking at a storm that will move over an area that has much greater population than an area like New Orleans or South Texas." Hartwig says that means damage to individual structures may not be as great, but there could be significant damage to millions more homes and businesses than in previous hurricanes. In addition, Hartwig and others note that Irene is slamming into an area where residents are not used to hurricanes, so may not be as well prepared as residents of southern coastal areas. That's made the last few days extremely hectic, says Spencer Houldin, president of Erickson Insurance, an independent agency in Washington, Conn., a heavily wooded area in the foothills of the Berkshire Mountains. "The phone has not stopped ringing," he says. Houldin says the main fear is that the fierce winds will topple trees and damage what he calls a fairly affluent community with large houses. Develop a family plan. Write down an emergency plan based on your hurricane vulnerability and share it with relatives and friends. Several websites can provide information on whether your community may be vulnerable to hurricanes and other weather hazards. Listen frequently to radio, TV or NOAA Weather Radio All Hazards for bulletins on a storm's progress. Inspect and secure your home — including mobile home tie-downs, roofs, windows, doors and garage doors. Store lawn furniture and other loose, lightweight objects, such as garbage cans and garden tools. Create a disaster supply kit. Stock up on batteries, nonperishable foods, first-aid supplies, drinking water and medications. The other fear, Houldin says, is that the hurricane's heavy rains falling on the already saturated ground will fill basements and homes with water — even in places not normally prone to flooding. Unless you live in a flood plain and are required to buy federal flood insurance, Houldin probably has bad news. 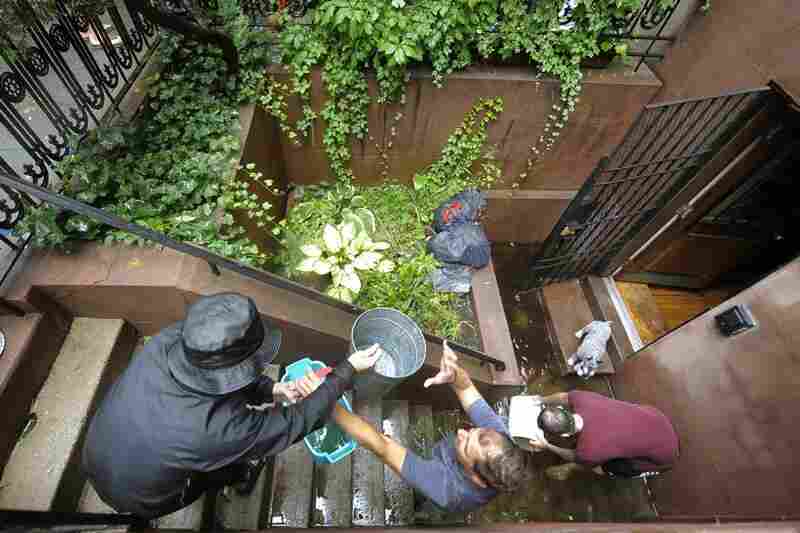 "The homeowners' policy does not cover surface water and ground water entering the dwelling," he says, "so I'm expecting a lot of phone calls from clients that have wet basements or damaged personal property or damaged finished basements." 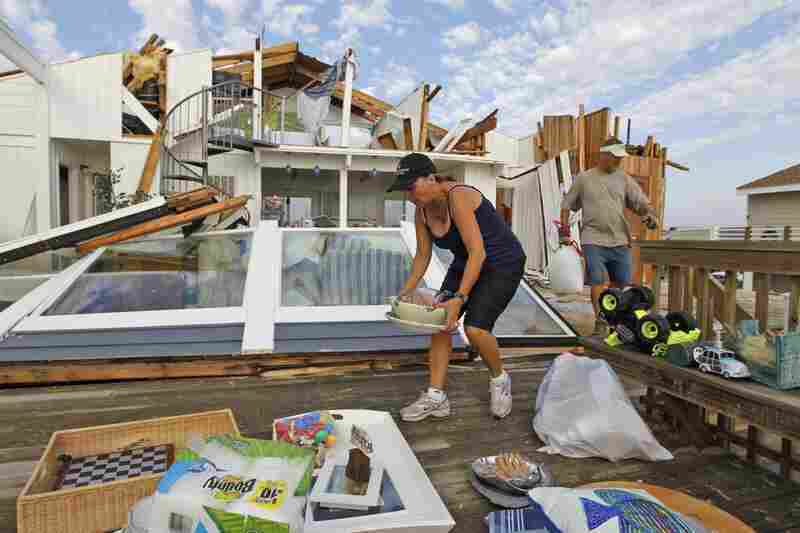 Insurance companies have been gearing up to start processing hurricane damage claims for almost a week now. 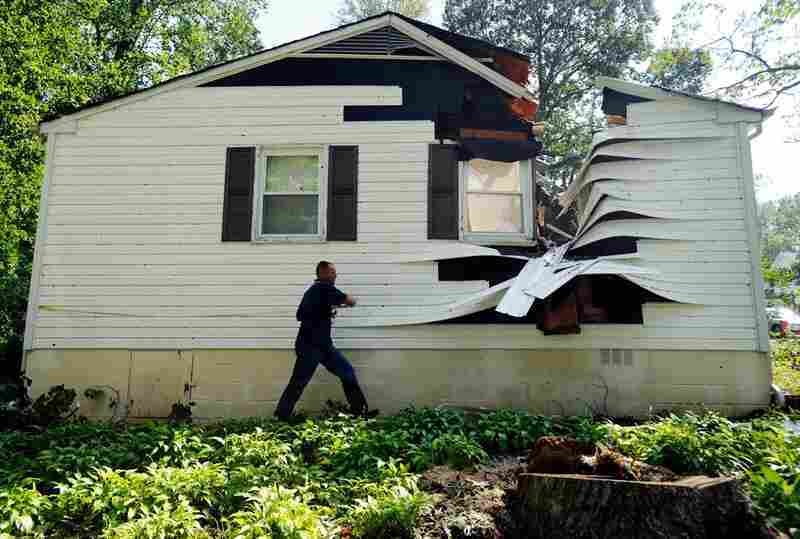 "We've actually, over the last couple days, deployed over 1,000 people, starting with the Charlotte, N.C., area," says Mark McGillivray, senior vice president of claims for Allstate. "Then as the storm goes up the East Coast, we are basically ahead of the storm." McGillviray says Allstate has 16 mobile claims centers — big refurbished RVs — that will roll into the most heavily damaged areas. Other insurance companies have them, too, as well as call centers, and even smartphone apps to file claims. So far this year, natural disasters have caused more than $17 billion in insured damages nationwide; Irene will surely add billions more. Industry officials say companies have the capital to pay claims, but expect insurance rates to go up.